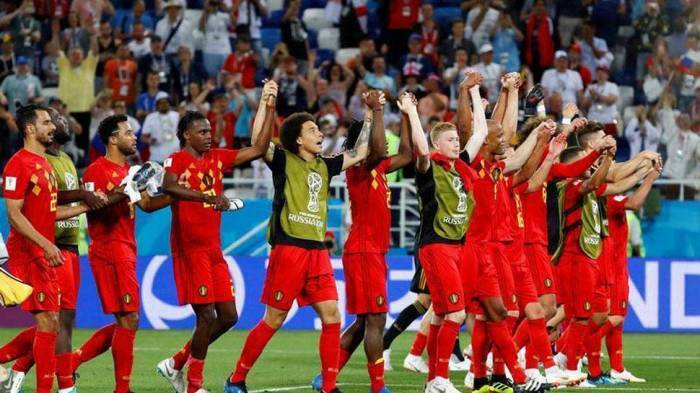 Belgium has finished the 2018 FIFA World Cup in third place after defeating England 2-0 in the third place playoff in St. Petersburg, Sputnik reported. Belgium struck first, with defender Thomas Meunier scoring a goal in the 4th minute of the match. Meunier's goal was the earliest goal that Belgium scored in the World Cup and was also the earliest goal England allowed in the tournament. Hazard made the second goal of the game in the 82nd minute, giving Belgium a 2-0 lead. The game became heated as both teams repeatedly put shots on goal that were blocked by the goalkeepers. Team Belgium was forced to an early change as Chadli was injured and replaced by Vermaelen in the 41st minute. Two changes were made during the break, with Lingard replacing Rose and Sterling being replaced by Rashford. The game’s first yellow card was issued to Stones for a foul on Hazard. Lukaku was replaced with Mertens in the 60th minute and Dembele replaced Tielemans in the 78th minute. Dier nearly scored a goal, but Alderweireld made a save for Belgium, hooking the ball away from the goal posts. England struggled in pursuit of an equalizer but was struck in a counterattack, with Eden Hazard doubling Belgium's lead in the 82nd minute, slotting the ball past England goalkeeper Jordan Pickford following a good pass by Kevin De Bruyne. England made its final change of the World Cup, replacing Loftus-Cheek with Alli in the 84th minute. Belgium has now achieved their best ever result at a World Cup. Their previous best was finishing fourth at the 1986 FIFA World Cup in Mexico. Belgium suffered a 1-0 loss to France and England lost 2-1 to Croatia in the semifinals of the 2018 World Cup. Iranian international football referee Alireza Faghani judged in the match. The 2018 FIFA World Cup kicked off on June 14 and will come to a close on Sunday, with France facing Croatia in the final game, which will be played in Moscow's Luzhniki Stadium.